In the run up to the General Election a lot has been said, and more often argued, about the economy and the HSE, but what about that rare oul topic, in reality a major existential crisis – climate change. Over one thousand scientists have concluded with 90% probability that humans are responsible for global warming. The evidence has been described as unequivocal. Our climate is changing. In Ireland climate change will cause more extreme weather events: more storms, more floods, more power outages, higher road tax and spiralling insurance premiums. Sea level rise caused by melting pack ice and warming water is expected to displace 25–50% of the Irish population who live along the coast. So just what are the political parties proposing to combat climate change? How might a Government keep our phones and laptops charged up with less (or no) fossil fuels? The Fine Gael manifesto is one of the longest and in it the Climate Change section is one of the most verbose. The Climate Action and Low Carbon Development Act devised by Government sets out how Fine Gael will produce a National Low carbon Transition and Mitigation Plan. The main proposal set out by the Party is essentially that a climate change plan will be planned should Fine Gael be returned to Government. Without reading further Government publications it is ambiguous just what Fine Gael intends on doing to reach greenhouse gas reduction targets Ireland signed up to at the Climate Change convention last year. Regarding agriculture, Fine Gael’s plan to research and plan could be taken as a smokescreen to delay meaningful decarbonisation in the sector. Delaying tactics would allow agricultural production to be ramped up in line with the Government’s agriculture plan: Food Harvest 2020. Fine Gael suggests that Ireland is a current world leader in sustainable food production, but this bold claim is unsubstantiated in the manifesto. Fine Gael promises to shake up the energy market and make it more competitive, which ostensibly is a good move; however its proposal to split the ESB generation and network arms under the auspices of the ESB Group is questionable. As the ESB is a semi-state body it is hard to envisage the Government buying electricity from private energy firms or cooperatives (as outlined under the Green Public Procurement) over their traditional provider. Fine Gael supports the exploration and extraction of fossil fuels as a means of boosting energy, jobs and tax revenue. They are also keen to “invest” in future exploration and maintain a stake in the industry. The Party’s enthusiasm for fossil fuels extraction blatantly conflicts with the State’s commitment to reduce greenhouse gas emissions by 20% by 2020. This target is considered by many commentators to be unambitious when compared with pledges made by other developed countries. Capitalising on areas of the country suitable to biomass (tree) production is a very worthy idea which would see 6,000 ha of new forests established in the first year of the Forestry Programme. This could provide new income streams to rural communities in areas where land is of marginal value for regular farming. Replacing peat in favour of biomass for energy production would radically cut carbon emissions. Wind farms have caused much anger in rural communities who have had been imposed by large scale corporate projects. Fine Gael promises to update wind farm planning guidelines in the next term to shift more power to communities. As the senior party in the standing Government this could have been done already. The manifesto suggests “examining” shared-ownership opportunities to involve local communities. As for most of this section in the manifesto the language is ambiguous and sounds non-committal. Fianna Fáil have chosen not to discuss their plans to tackle climate change as a specific chapter in their manifesto. That said the party has some positive ideas for reducing carbon emissions. For example, Fianna Fáil proposes diversifying Ireland’s energy mix and reforming the Commission for Energy to make energy cheaper for business and families. The Republican Party intends to create a Department of Climate Change responsible for climate change policy, while also subsuming related departments, including Environment, Flood Defence, Transport, Natural Resource and Heritage. On the face of it creating a department dedicated in part to the issue of climate change is laudable. Conflicts of interest might arise where sites identified for renewable energy generation exist as current environmental or heritage sites. Bringing climate change and energy generation under one roof should facilitate sustainable energy policies. Developing public transport infrastructure is recognised by Fianna Fáil as a key action for cutting carbon emissions. In their manifesto they plan to increase investment in CIE by €28.54m per annum to improve reliability of services and increase the attractiveness of using public transport. This investment will be reflected in bus and train fares, which would likely increase for certain passengers. Ambitiously, Fianna Fáil plans to shift the predominant mode of transport from car journeys to public transport, walking and cycling. This has previously been identified as a pro-environmental way individuals can reduce their carbon footprint. To promote the use of E-cars Fianna Fáil proposes waiving motor tax costing the Government €1.3m; implementing free car charging points costing €2.3m; and also continuing SEAI grants to boost E-car sales, costing €4.5m. The manifesto, though ambitious, in some areas does not set out a roadmap with measureable objectives for decarbonisation in Ireland. Although agriculture has been identified as the most polluting sector of the Irish economy, Fianna Fáil does not discuss objectives to reduce associated greenhouse gas emissions, a key area which Ireland should focus on in order to meet agreed emissions targets. Fianna Fáil maintains it is in favour of the EU leading the fight against climate change and ensuring that countries are held accountable to their international commitments. 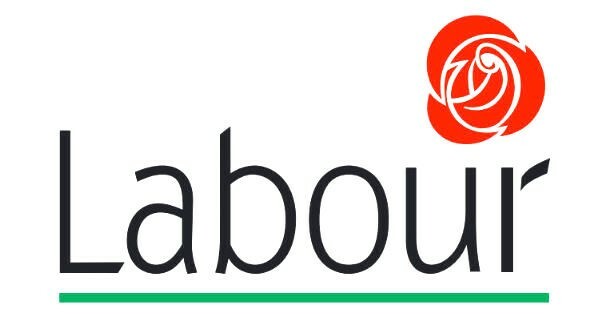 The Labour party opens the environmental section of its manifesto referring to the money it has invested in climate resilience to date. The party says it has spent €225m on flood risk management already with plans to spend a further €430m over the next five years. Spending on flood defence in addition to the creation of new flood forecasting services at Met Éireann will come as welcome news to many in areas devastated by flooding. Exhibiting a degree of awareness about climate change the Party “aims to tackle the root causes” of climate change along with the effects. Labour maintains that the challenges posed by climate change present an opportunity for development in the sustainable energy sector with a focus on diversifying renewable sources (e.g. bioenergy, solar thermal and photovoltaic). The party states it will provide more funding to the renewable energy sector to attract investment, meanwhile creating “thousands of jobs.” The party avows to facilitate grid access to small-scale renewable energy projects, but stops short of offering any grant aid or subsidies. Labour would see Ireland become a “World leader” in renewables by creating an energy research centre consolidating existing research institutes. Proposals outlined by Labour to strengthen regulations for energy efficiency, heating and lighting in the residential building sector are certainly a step in the right direction. They could have been more ambitious by targeting power hungry office blocks also. Labour states that the coal fired electricity generation station, Moneypoint, will not be substituted by a low carbon-energy source until 2025. The party’s honesty must be congratulated, and yet as the energy sector is a major polluter a diversified energy mix would surely be able to replace some of the energy output provided by Moneypoint before 2025. A hardline taken against gas fracking, deemed to be incompatible with a low-carbon energy system, will be welcomed by many opponents. Sinn Féin has a brief manifesto and by consequence a short section on ‘The Environment’ which includes climate change. The party plans to utilise expert knowledge to set out a roadmap to reduce carbon dioxide emissions. Energy efficiency would be improved by retrofitting insulation in housing as a means to tackle fuel poverty. Though oil prices are at an all-time low and fuel bills will have been helped by a mild winter the Party’s move to improve insulation would benefit those living in poorly insulated homes. Sinn Féin intends to support community-based power generation and would see that export tariffs offered for small-scale electricity generation are fair. The Party intends to regulate planning to prevent future building on floodplains; an obvious proposal which no party could countenance after the flooding of 2015 and 2009. By establishing a single Shannon River Authority Sinn Féin would ensure that all State agencies would act swiftly when responding to flooding in the Shannon catchment. A single authority could dramatically improve flood prevention in the west and would certainly be embraced by communities along the Shannon corridor. The manifesto states that Sinn Féin is opposed to fracking and nuclear power, which it would not permit in Ireland. A party committed to sustainability, The Green Party has ambitious plans to harness renewable energy generation in Ireland. They would establish binding, national greenhouse gas emission targets for 2030 and aim for 100% decarbonisation of power, and an 80% reduction in total emissions, by 2050. In doing so the Party would end Ireland’s current €6 billion per annum fossil fuel importation bill. The Party would develop a new planning process to include climate mitigation and climate adaptation, which would future-proofing Ireland in readiness for major global warming. To assist in carbon sequestration the Green Party would dramatically increase afforestation, as Ireland currently has the second lowest tree cover in Europe. The Greens would oversee the closure of Moneypoint and the three peat-fired power stations over the life time of the next Government. The manifesto states the Party would create a new marine energy station at Moneypoint and re-train power station workers in a retrofitting capacity to improve heat efficiency in homes. To radically cut emissions the Greens propose ramping up renewable energy supply rapidly. It intends to advance solar and offshore wind power generation, while aiming to reach 40% of the country’s energy supply from onshore wind power. The Party’s plans to power the country with renewable energy are very positive and ambitious, but how this might be paid for is not elaborated. The Green Party plans to introduce a community aspect to energy generation: they would develop a mechanism to allow householders to sell electricity back to the grid. With over one million homes heated by oil the Greens propose expanding the SEAI Better Energy Warmer Homes scheme, which would cost an additional €10m annually and be sought from the European Investment Bank. Evidently some plans require favourable outcomes from funding sources outside the country, but an improvement in insulation would clearly be well received: lower bills, lower emissions and of course warmer houses. The Green Party are against oil and gas fracking in Ireland and would cease licensing offshore oil and gas. It is clear the Party is against facilitating fossil fuel discovery and states that in order to avert dangerous levels of global warming four fifths of oil and gas must remain underground. Placing the environment centre stage in their plan for Ireland the Greens propose amending the Irish Constitution in order to acknowledge the intrinsic value of the environment and its right to exist and persist. The Party supports the proposal that ecocide – a crime against nature and humanity – be created in international law subject to the jurisdiction of the International Criminal Court. Standing up for the environment is a tenet of the Green Party. All of what the Party proposes is valiant, however a roadmap detailing funds allocated for transitioning Ireland to decarbonisation is absent from the manifesto. Renua Ireland’s climate change chapter implies a good understanding of the challenges ahead for Ireland when economic growth is considered in the context of resource use and ecological protection. The Party focusses heavily on renewable energy production in a bid to reduce carbon emissions. Referencing European reports, Renua suggests that strong tides around Ireland could provide 500% of the national electricity requirement. Harnessing this source is part of the Party’s plan but this would clearly take some time as the methods of effective tidal energy generation are still being researched. The Party favours the use of biomass over home heating fuel. Renua would bring Ireland’s forestry cover up from <10% to 20%; this would provide an economic output for forestry while providing additional carbon sinks, habitat for wildlife and recreational opportunities for citizens. On shore wind turbines as a source of renewable energy are out of favour, however. 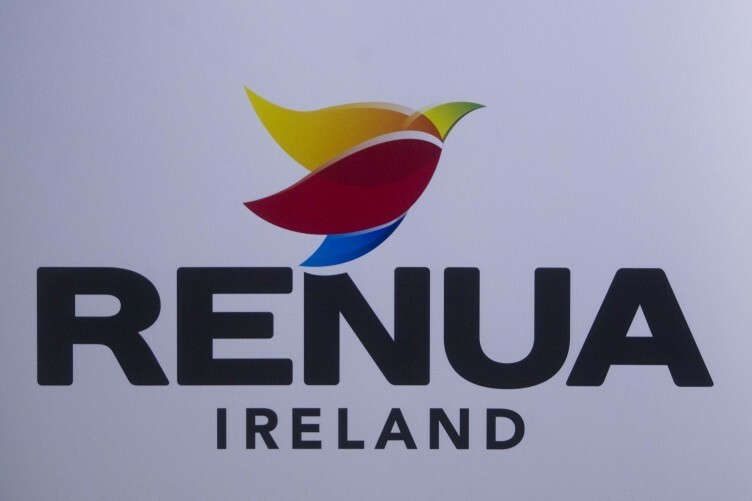 Renua believes that the “economic case for wind turbines based on current technologies is questionable.” The Party states that current corporatist attitude has seen big developers benefit from licenses rather than local communities. Renua would create a national sovereign wealth fund to manage State assets in a self-sufficient fashion, a policy which would certainly prove popular. The Party proposes retro-fitting homes by grant aid to provide solar energy, integrating solar technology to all new homes and remunerating producers feeding into the national grid. Reducing the financial burden of heating meanwhile offering an income stream to homeowners is a progressive proposal. The Party would also consider co-commissioning solar generation in third party countries if this could be done competitively. The party is against fracking until it can be proven that this method of energy extraction does not compromise natural water supplies. The Renua manifesto for climate change does not set out a road map for greenhouse gas emission targets and no information is provided in the way of funding. Developing the use of tidal energy as Renua propose could prove a real boon for Ireland if the source can be exploited. 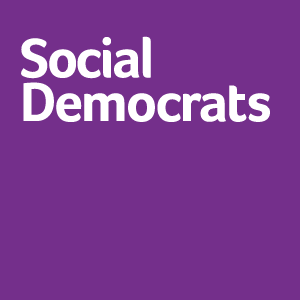 The Social Democrats recognise the need for immediate action on climate change. To do this they would specify targets for emission reduction and fossil fuel use. No preliminary targets are included in the manifesto. The Party would devise “attainable” mitigation plans and enhance the powers of the Climate Change Advisory Council. Attainable plans might of course not be bold enough in terms of meeting agreed targets which could expose Ireland to hefty fines. In order to reduce carbon sequestration, the Party would “encourage” adoption of forests and wetlands. It is not clear whether landowners would receive specific funding for land use change. The Social Democrats propose increasing the funding for ocean energy owing to its “great potential.” Certainly the Party’s intention to set up an Offshore Wind Development Energy in order to simplify regulation and attract investment is wise as Ireland is lagging behind other countries in this sector. The Social Democrats would rethink large-scale onshore wind farms suggesting that community concerns around, scale, height, etc. must be considered. They would see that local communities benefited from their local energy resource as occurs in Denmark. In a credible move toward decarbonisation the Social Democrats would phase out state subsidies for carbon-intense forms of electricity generation. As currently planned by Government the Party would convert peat burning electricity plants to biomass, which would be domestically produced insofar as is possible. In a bid to win over farmers the Social Democrats would expand ‘home’ microgeneration schemes, including photovoltaic, wind and combined heat and power. 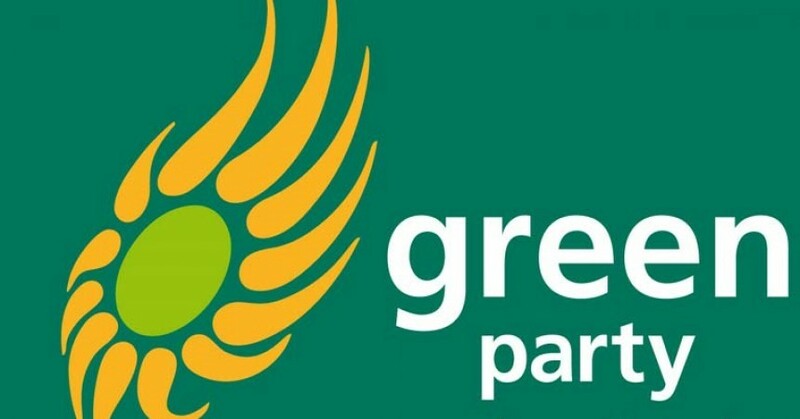 The Party would “enhance the supports” for home energy, retrofit and conduct a retrofitting programme across all public buildings. The cost to the exchequer associated with these plans is not outlined in the manifesto. 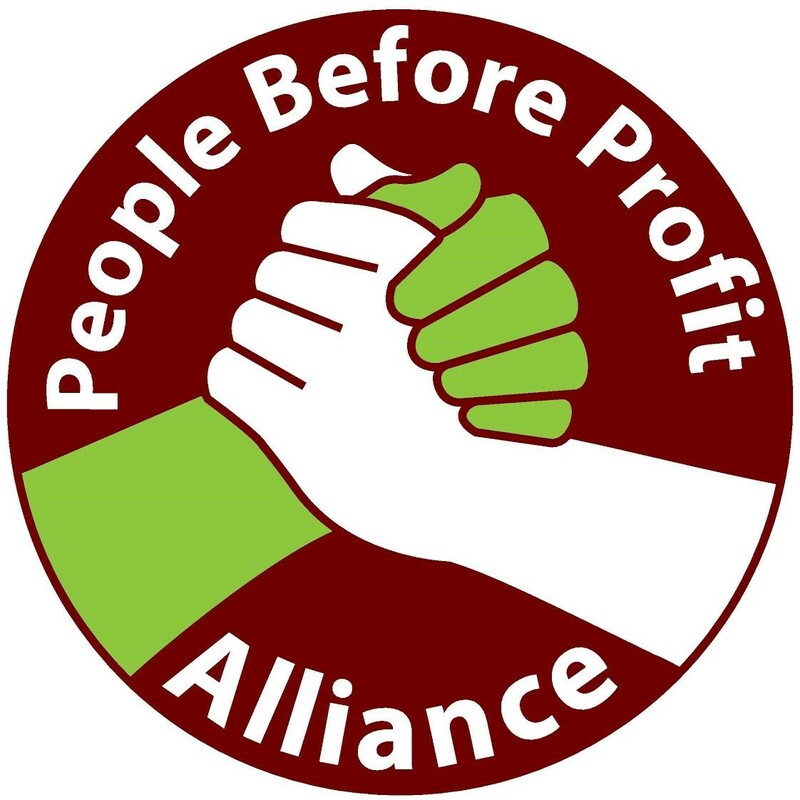 The People Before Profit Alliance has a very brief ‘environment’ section, which acknowledges the gravity of climate change. The Alliance supports investment in public transport, retrofitting buildings to improve energy efficiency and increasing afforestation. It supports substantial investment in renewable energies and divesting from fossil fuels. No emissions targets or specific costings are provided. The Anti-Austerity Alliance manifesto is brief. With regard to climate change the AAA proposes investing in State-lead renewable energy production and research to deal with the energy crisis. The Alliance also supports democratic public ownership of the State’s natural resources. The political parties vying for our votes have placed varied impetus on the looming climate change catastrophe. It would appear Fine Gael put economic growth above meaningful measures to counter climate change. 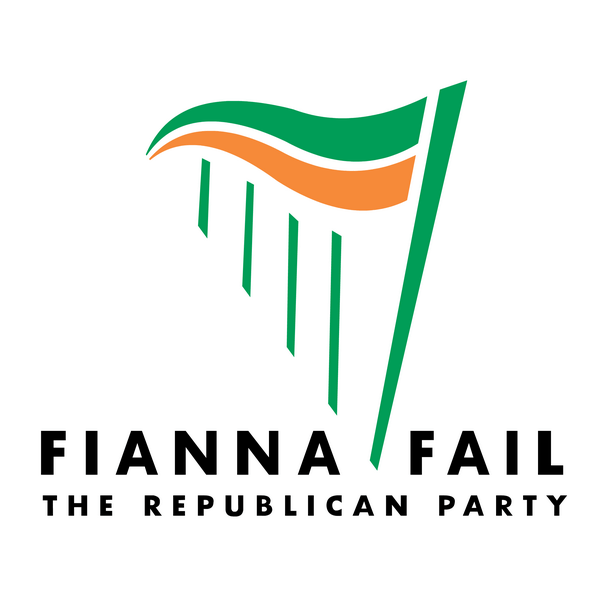 Fianna Fáil are reasonably specific in their proposals, providing costings and setting out clear plans. Renua have interesting ideas for energy diversification and would deliver community ownership of natural resources. The Green Party have arguably the most radical strategy for dramatically curbing greenhouse gas emissions but stop short of suggesting clearly how their plans would be financed. Consider what YOUR public representatives would do to thwart global warming before you cast your vote. It counts. Thanks a million for the piece Lawrence I really enjoyed it and hope it reaches as many people as possible before the vote tomorrow! Seems a FF Green coaliation would be the best outcome for the environment then if I read correctly? We must remember I think though that we had that coalition before and the only stand out extra plus I remember was the banning of the stag hunt. Of course they must have done more and if any contributor remembers something else please post! We must make sure this time that the manifestos don’t just become empty promises and allot of hot air which is exactly what the climate doesn’t need! On saying that the best hope I think is with the individual and attitude change in the public and private industry sector which actually looks like it is happening regardless of political parties encouraging it or not. Let’s just hope the victorious party(ies) this election remember how strongly the electorate feels about making Ireland a excellent place to live in, not just for people but for all of the Country’s biodiversity as well.